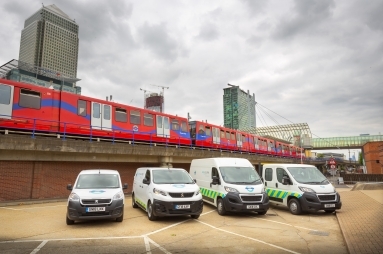 KeolisAmey Docklands, a joint venture between Keolis and Amey that holds the franchise to operate and maintain the Docklands Light Railway, has taken delivery of a mixed fleet of 27 PEUGEOT light commercial vehicles to assist with its operations. The PEUGEOT vehicles include models from the Partner, Expert and Boxer van and crew van ranges, the Traveller Business passenger range and the PEUGEOT Built for Business conversions range. 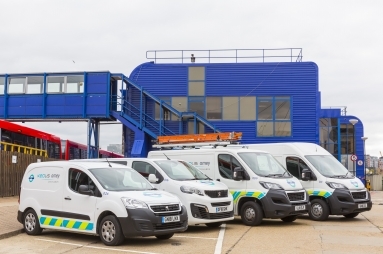 The vehicles will be used for a wide variety of duties, with panel vans equipped by specialist converter Bott to carry the necessary tools and equipment. The PEUGEOT LCV range includes the Partner light van range, Expert medium van range and Boxer heavy van range, supported by the PEUGEOT Built for Business range of converted vehicles. The all-new Partner was unveiled at the IAA Hanover Commercial Vehicle Show in September and has won the International Van of the Year Award 2019. The UK is the third largest market for PEUGEOT with its UK Headquarters located in Coventry. The UK car line-up includes the 108, 208, New 308, all-new 508, 2008 SUV, 3008 SUV and 5008 SUV supplemented by people-carriers and a van range that includes the all-new Partner, Expert and Boxer. The standard car and van line-up is supported by Electric Vehicles. The range includes the iOn and the Electric version of their most popular small van, the Partner Electric.